The always-calm president of the Fuka Academy Student Council, Shizuru at first appears in episodes involving important school events, or in scenes featuring the Student Council's homeroom, often calmly sipping tea. Making an entrance as a playful, charming and slightly sarcastic individual, she takes care of significant school affairs single-handedly, even patching up for the academy director when required, but tends to leave all the "dirty work" for the executive committee. She wears a differently colored uniform to denote her status as Student Council President, something fellow Student Council leaders Reito Kanzaki and Haruka Suzushiro also do. Her beauty and distinctive Kyoto-accent have earned her quite a few fans within the academy - And all mostly female. She occasionally lends Natsuki Kuga use of the Student Council's computer in order to look up information relating to the HiME. In the novel entitled, "Natsuki's Prelude", some background was provided on the reasons influencing Shizuru's decision to running for the Student Council President position. She was originally just a class representative in her second year of highschool. Natsuki, a middle-schooler at the time, had heard a rumor that class representatives had a higher access level within the school's intranet than normal students. Shizuru teased Natsuki and assumed she was inquiring for the sake of altering her attendance record. Natsuki informed her that she wanted to gain access to the school's state of its administration, the director's name and personal record, and a register of the staff members and pupils plus their personal records. 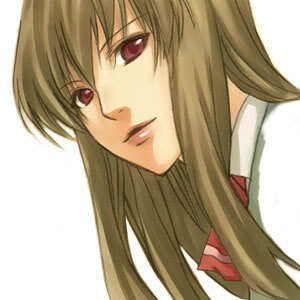 Shizuru regretted to inform Natsuki that her access to the intranet was not much higher than that of a typical student. Witnessing Natsuki looking somewhat disappointed, Shizuru mentally came to a decision and entered herself as a presidential candidate. The novel continues with the fact that elections were held rather late in the year compared to most schools but Shizuru managed to crush her opponent, Suzushiro Haruka, in a landslide victory. 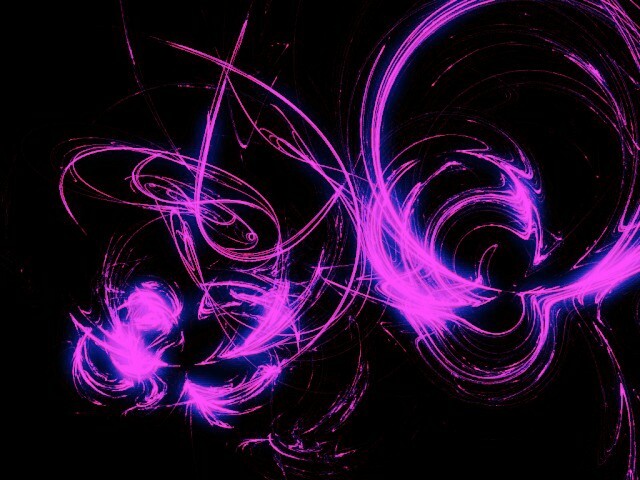 She had become the new President, which enabled her high-level access on the school's intranet. Natsuki of course utilized this to her advantage, but never found out Shizuru's true motivation for running. In the second half of the series, Shizuru's role becomes more significant, as it is revealed that she's one of the twelve HiMEs. Unlike the other HiMEs, she acts solo, without facing either the Orphans, nor the agents of the Searrs Foundation. Instead she focuses on covertly protecting her best friend, Natsuki Kuga, who is also a HiME. It is implied that Shizuru's "HiME mark" is located on her left side, as she is seen placing her hand there on several occasions relating to the HiME, including the interrogation of Yukariko Sanada, before actually being revealed as one. Shizuru's shadow with her element is first seen in episode 20 when she intervenes and has her child, Kiyohime, block Mikoto's attack towards Natsuki. 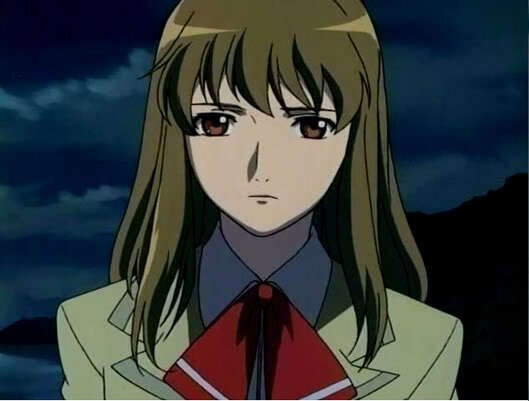 During the later course of the series, it becomes apparent that Shizuru has a romantic interest in Natsuki, which begins to unbalance her psychologically. After Natsuki is injured by Nao Yuuki and held for ransom Shizuru rescues her and brings her to a friend's house to allow her to heal. During Natsuki's recovery Shizuru's shadow is observed by Yukino's probes disrobing and lying down next to an unconscious Natsuki, though what actually occurred in this incident is left ambiguous. 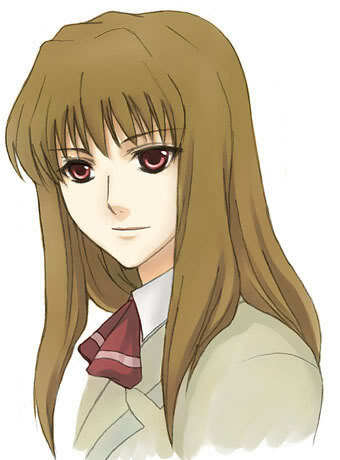 However, after both her HiME-status and her obsession-like love-interest are discovered by Natsuki herself after Haruka confronts Shizuru about her absence from the school and declares Shizuru's love for Natsuki to be "disgusting", Shizuru loses her mental balance and becomes yet another puppet playing to the plan of the Obsidian Lord, killing the Childs and, by extension, the most important people of Nao (her mother) and Yukino (Haruka) as well as members of the First District, for the sake of her beloved. In a final confrontation Shizuru fights Natsuki, who having accepted her love for Shizuru now has a new most important person and has hence regained her powers, along with Duran increasing drastically in size. Shizuru misunderstands Natsuki's explanation for Duran's increased size, and believes the "omoi" (literally emotion) Natsuki feels for her is hate. An emotional Shizuru believes that Natsuki has rejected her feelings and entraps her under a bell before drawing her into an embrace. However, Shizuru is taken aback when Natsuki kisses her and then orders Duran to destroy Kiyohime, which results in both Natsuki and Shizuru disappearing in each other's arms. After their resurrection by Mashiro the two seem to have maintained their close friendship and during the day of Shizuru's graduation, their relationship progressed into something much more. The official Sunrise episode guidebook entitled "My-HiME Anime Book Volume 2" has addressed their current relationship status. On page 25, under Shizuru's profile section, it mentions that "Once again, Natsuki spoke affectionate words to the graduating Shizuru. Before one knows, happiness will visit these two." Her Element is a large naginata. It serves as a close range weapon, but she can take opponents by surprise with its long range capabilities, as the blade can extend into a chain-like extension, capable of tying someone up or crushing solid metal within its coils. She can attack long range by using the chain to slice through incoming attacks or to slash an opponent with her extended reach. She has once even used her extending blade to cut through the entire side of a cliff, causing part of it to collapse and crumble. Shizuru's use of the weapon combined with her noble and calm demeanor is likely a reference to Sengoku Period noble women, who were expected to know the art of the weapon in order to defend their families. The naginata was also frequently used as a status symbol. Shizuru's Child is Kiyohime, a cross between a Squid and a Hydra. Its name is most likely a reference to the Japanese legend of the same name. The trapping of Natsuki under the church's bell during their fight is a direct allusion to this myth. Kiyohime's multiple snake heads allow it to attack quickly and repeatedly, and each of its heads can spray an acidic silver poison. Kiyohime is one of the larger Childs in the anime, comparibly similar in size to Mai's Kagusutchi and Mikoto's Child Miroku, and arguably, one of the strongest.